For families, organizations, and public agencies. For any student or person over 55. Membership includes access to BevCam’s equipment and software, the ability to submit content for cable TV, access to workshops and training, and the eligibility to vote at annual membership meetings. Training is done one on one in our studio. Our staff will help you learn everything you need to get up and running. Contact us for more info. 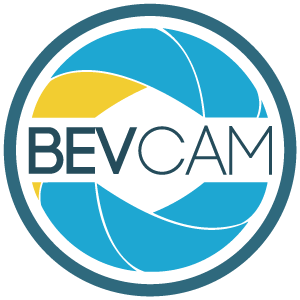 Would you like to become a member of BevCam? It’s as easy as filling out this form and paying a small membership fee. Talk to a BevCam staff member about all the benefits of being a member! Click to download Membership Application (PDF). Please read BevCam’s Access Policies, Rules & Procedures (PDF) for more information. If you produce a show that people appear on, have them sign this simple release form. Click to download Talent Release (PDF). This form is for on-location productions. If you are shooting anywhere that is not a public place, the owner of the location you are at should fill this out. Click to download Location Release (PDF). If you have an idea for a show you would like to produce on BevCam, please fill out one of these proposal forms. You may want to discuss your idea with BevCam staff beforehand. Click to download Producer Program Proposal (PDF). If you would like to request that a program produced elsewhere is aired on BevCam, please use this form. Click to download Access User Request Form (PDF). This form must be signed by all who want to produce programs to air on BevCam. It summarizes your responsibilities as a producer. Click to download Producer Agreement (PDF).